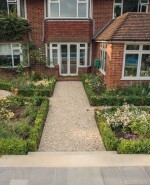 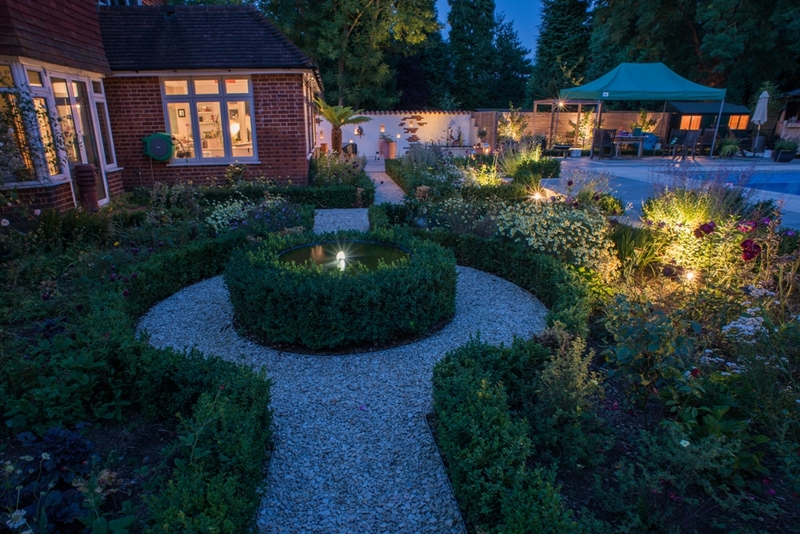 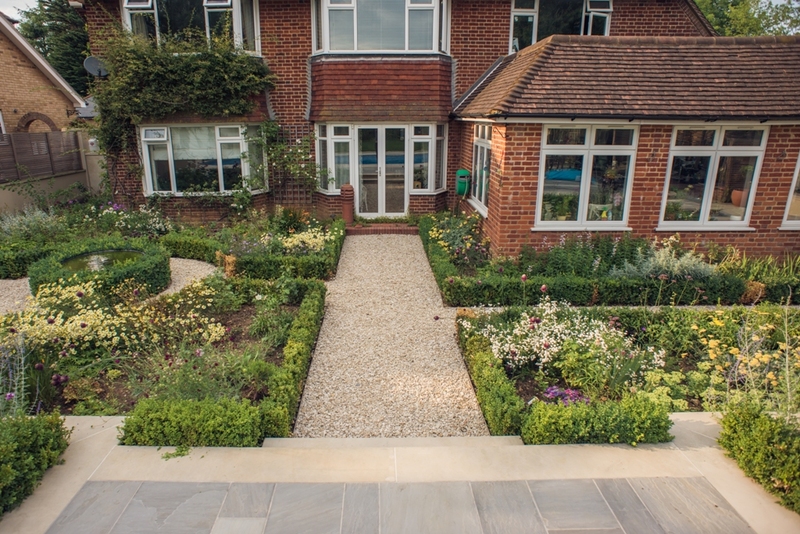 We transformed the tired rear garden of a deco property in Surrey into a stunning area with multiple spaces, each with a different function. 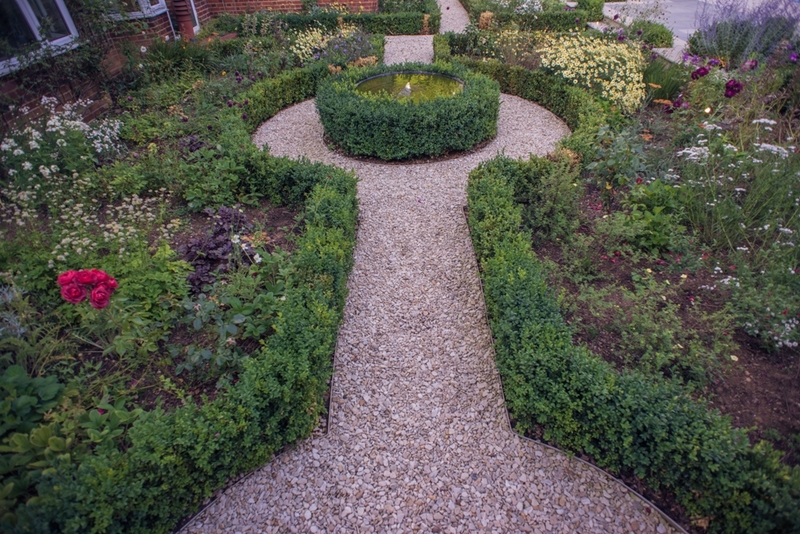 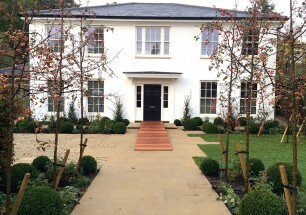 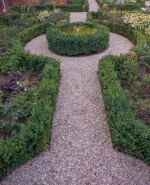 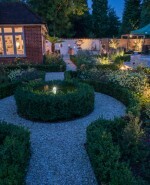 This included the creation of a Mediterranean-inspired courtyard; a large terrace surrounding the swimming pool; an area of built-in seating set within a raised fruit garden and pergolas; and spaces for an extensive planting scheme, incorporating both a knot garden and large beds around a circular lawn. 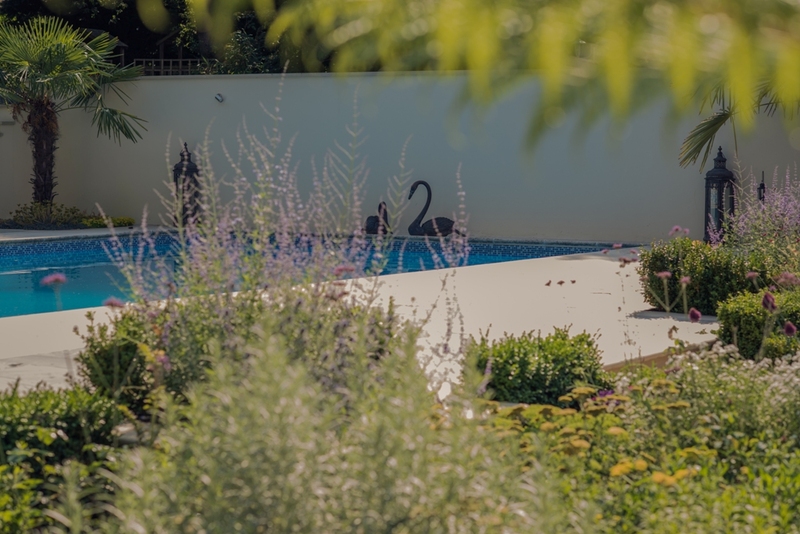 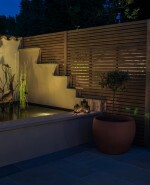 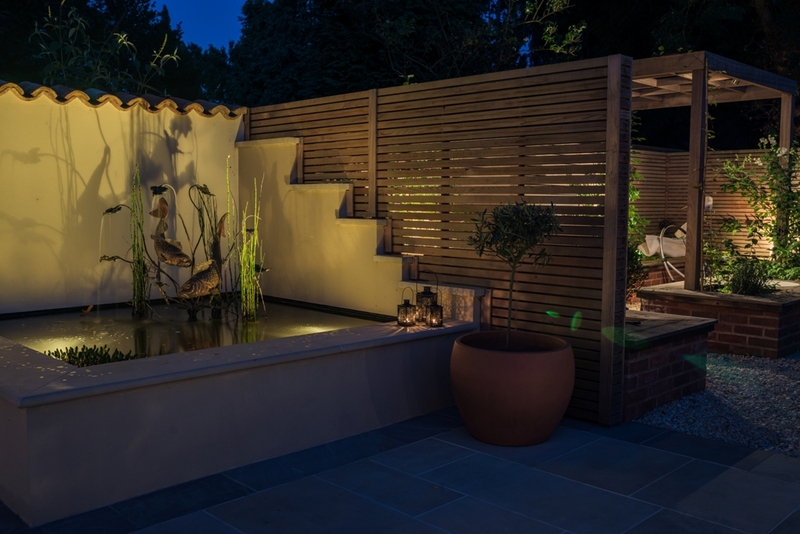 Throughout the garden, sandstone paving of varying shades and textures was used to create a continuous theme, while a combination of rendered walls and slatted cedar screening was placed along the boundaries to give the spaces a defined structure. 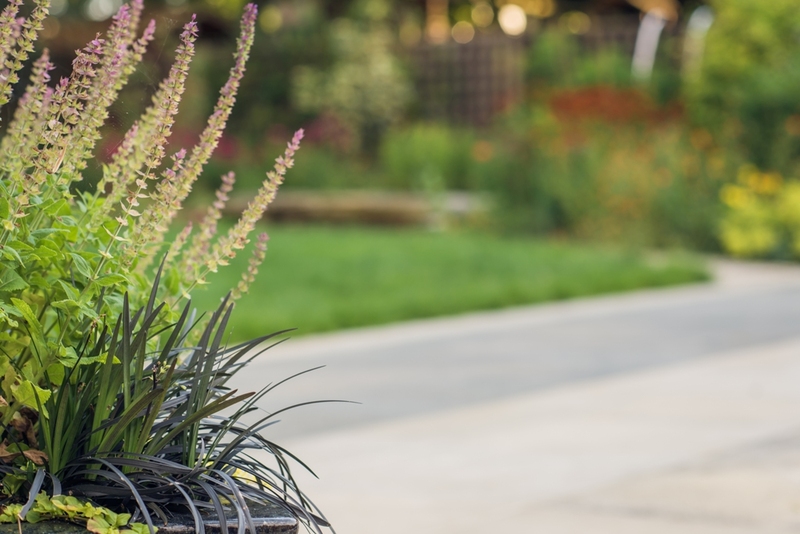 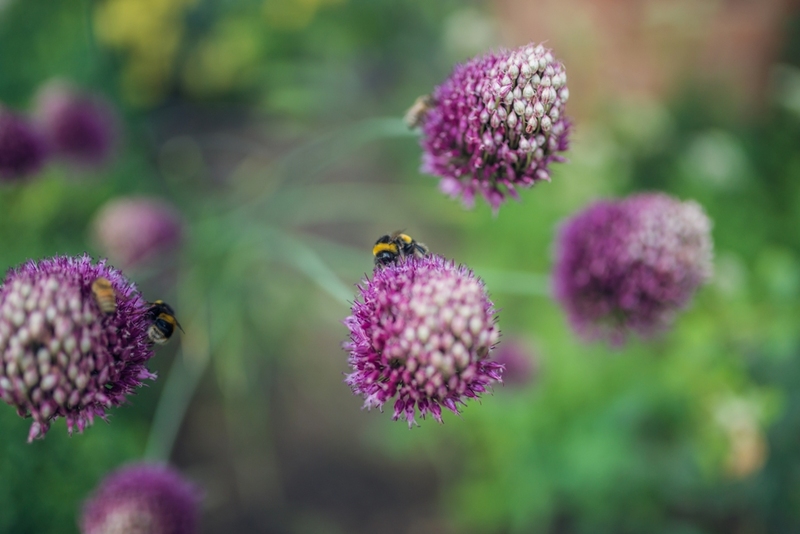 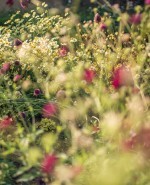 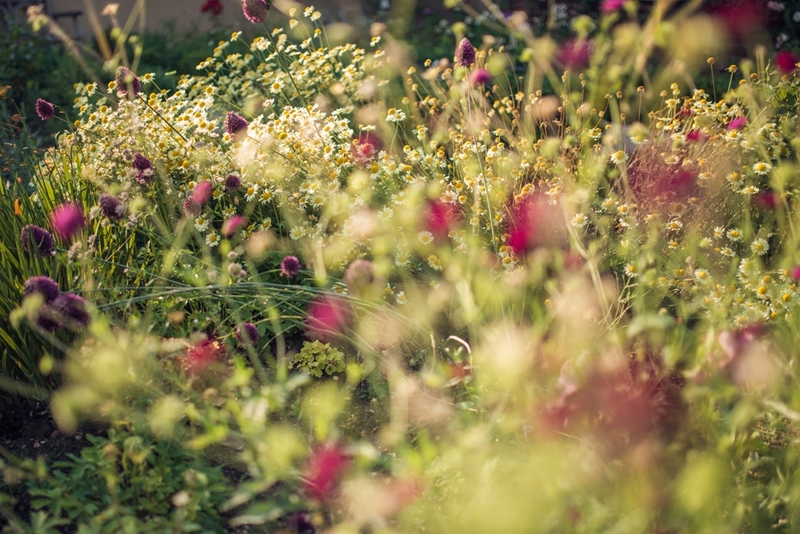 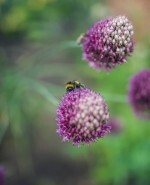 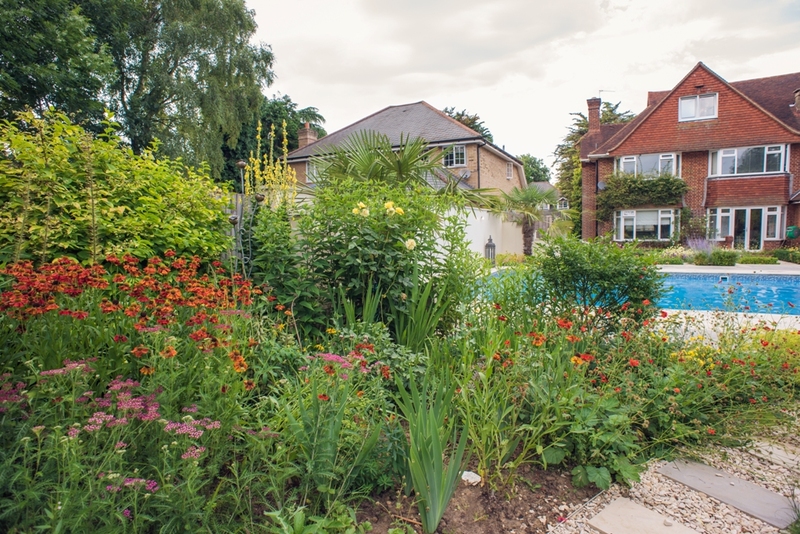 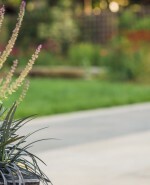 A wide and varied planting scheme was introduced throughout the garden, creating large areas of different colours, styles and textures. 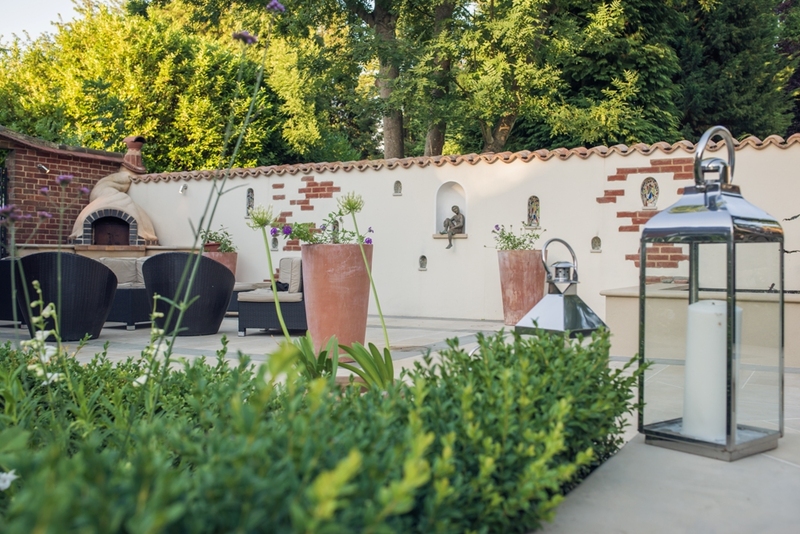 Within the courtyard is a custom-made pizza oven and raised water pool, featuring a bespoke copper fish sculpture. 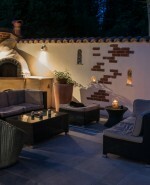 This is connected by a rendered wall, capped with Mediterranean roof tiles imported from Spain. 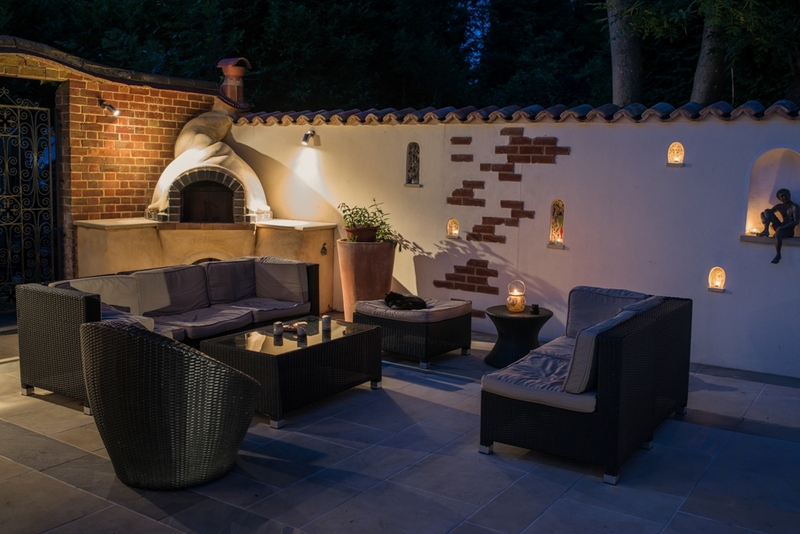 The wall is decorated with brick pillars and mirrored recesses for candle lights, while large planters and furniture create a comfortable space for relaxing and dining. 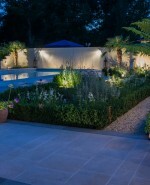 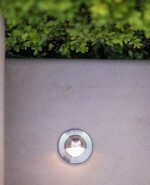 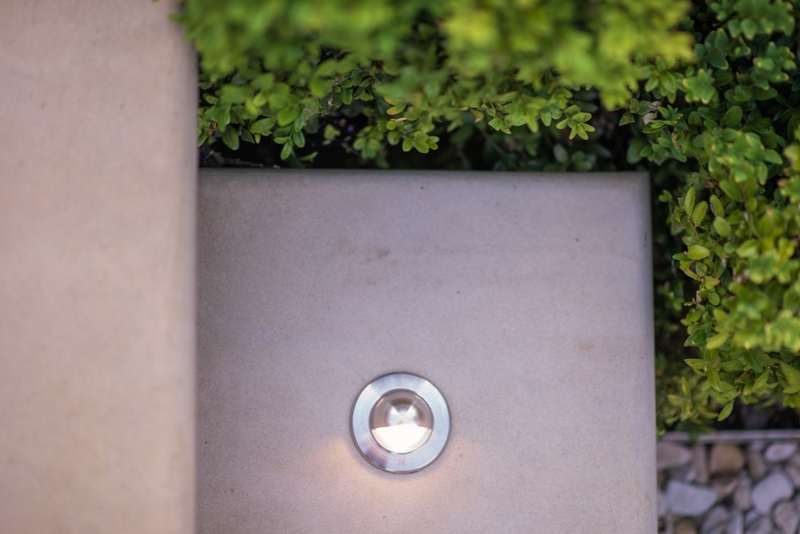 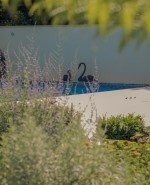 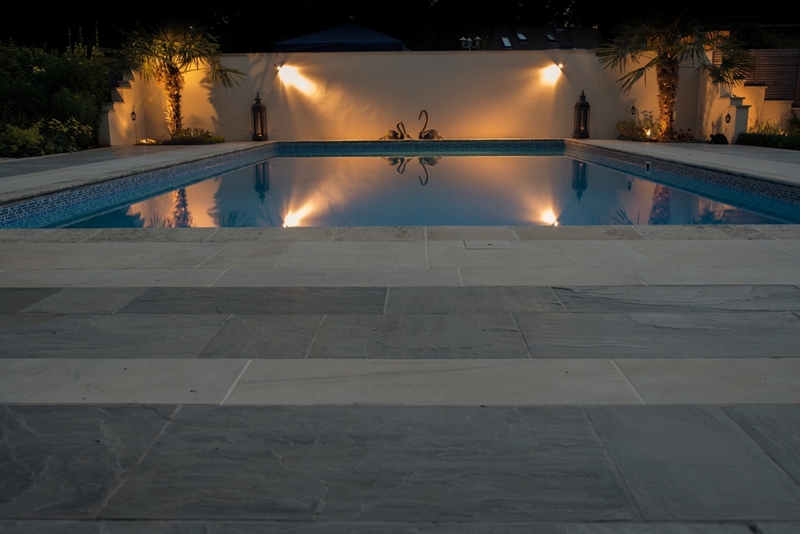 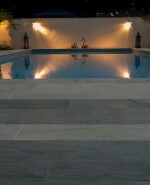 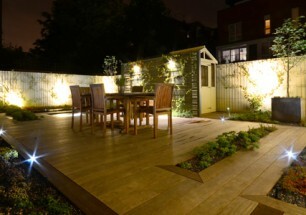 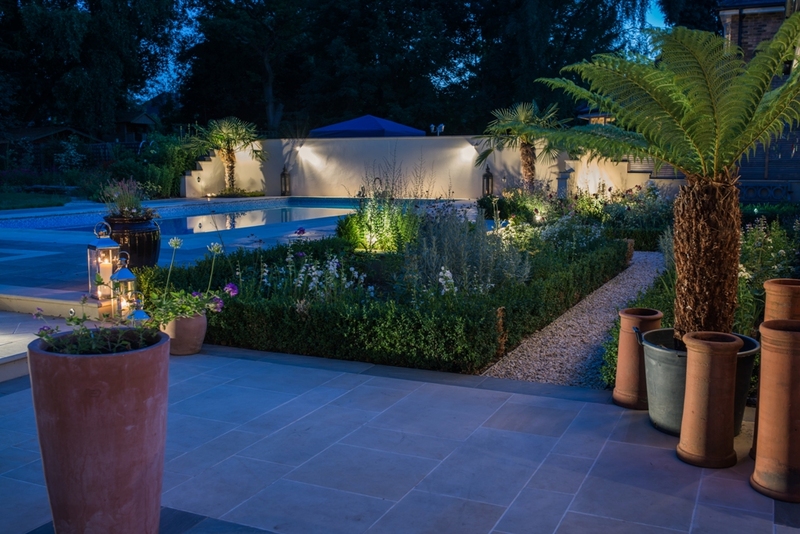 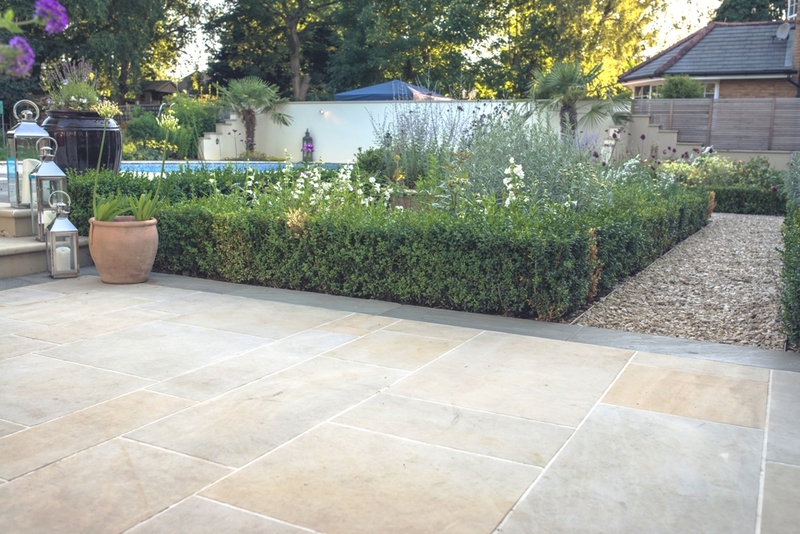 The elements of both the hard and soft landscaping are accentuated at night by a remotely operated lighting system that is fitted throughout, with uplights, wall-mounted pillar lights and recessed fittings set within sandstone steps.